In 2015, criminals hacked, phished or skimmed their way into the systems of the CVS Photo website, Hilton Worldwide, Hyatt Hotels, Landry's restaurants and Trump Hotel Properties, among others. In some cases, they only obtained names and emails. In the worst cases, they got credit card numbers. The schemes are simpler than you think. The information below presents some of the most common ways thieves pilfer your credit card information. Modus operandi: The server whisks away your credit card and swipes it through the restaurant's register. Then, they pull out a small device, about the size of an ice cube, and swipe the card through that, says Lt. David Schultz of the Fort Bend County Sheriff's Office in Texas. 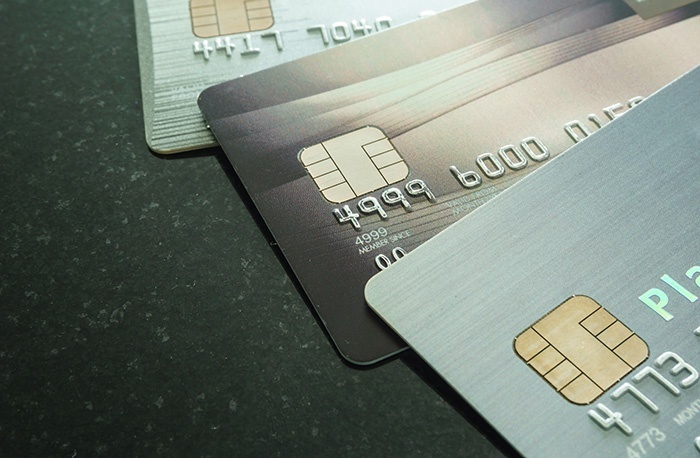 While you're scraping the last of the chocolate frosting from your plate, your credit card information has been stored in the device, known as a skimmer. The server returns your card and performs the same magic trick on dozens of credit cards in a week. Known whereabouts: The data-stealing server has been known to moonlight as a bartender, sales clerk or at any place where they can take your credit card out of sight. The server, trio or Gas Lass sells each swipe for about $12, according to Dell SecureWorks. Harry the Hacker and Phishing Phil will get $4 to $8 a card on the black market. The person who buys the information verifies it and then sells it to a person who creates fraudulent credit cards with your account information attached to it. The card maker then sells it to other criminals who buy goods such as stereos or baby formula and sells them to regular consumers. Regularly monitor your accounts online so you can identify fraudulent transactions faster, says Schultz. Avoid public computers. Don't log on to your email if your bank corresponds with you there. Urban suggests setting up an email account just for your finances and checking it from secure locations and connections only. If your information has been compromised, notify your financial institutions and local law enforcement. Also notify any of the 3 major credit reporting agencies -- Experian, Equifax and TransUnion -- to set up a fraud alert on your credit reports. Read the original article on Bank Rate. Copyright 2016.